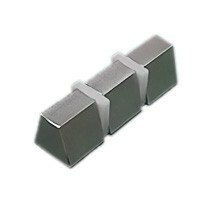 The SMAN0804 neodymium arc magnet is made from super strong N52 NdFeB , coated with Nickel as neodymium magnets get oxidized easily. 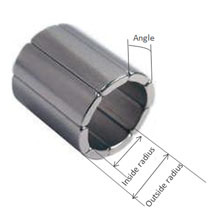 The dimension of this big neodymium magnet is 2” o.r. × 1” i.r. 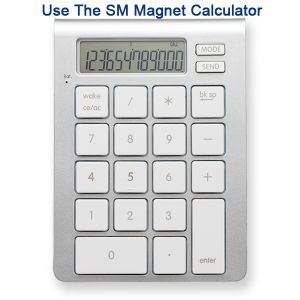 × 1” x 30°, magnetized Magnetized thru thickness; the weight is about 0.22 lbs. It can pull up about 300 times wight of steel, 61.0 lbs. 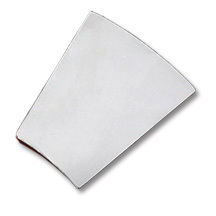 The surface field of this item is 6025 gauss, a super high level resulted by high thickness through magnetic direction.